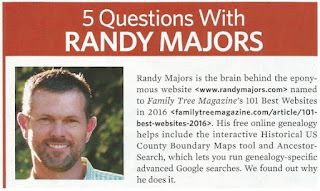 In my last post, I mentioned my recent articles I wrote for Family Tree Magazine. There are now slightly modified free versions of the articles available on their website. 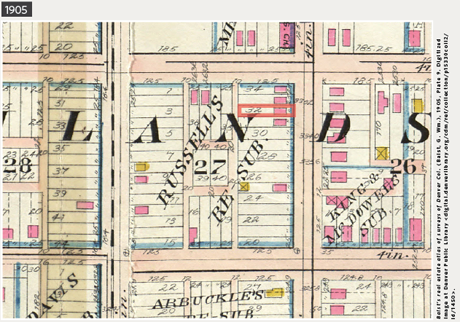 The "Moving Targets" article is recast as "How to Use Old Maps to Find Missing Ancestors", and my case study is found as "How to Use Old Maps & City Directories to Research House History". I hope you enjoy the articles! It was also great fun co-authoring an article with Sunny Jane Morton in the same issue of the magazine. 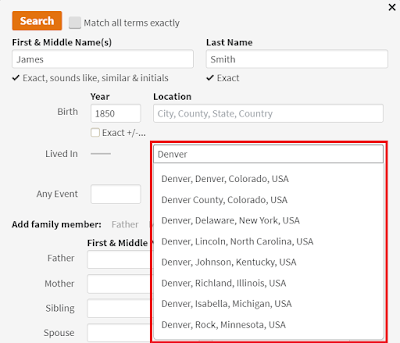 Previewed on the cover as "4 Ways to Find Ancestors with Old Maps", the 8-page feature article beginning on page 48 is called "Moving Targets" and provides genealogy research suggestions for what to do when the ancestor you are researching apparently falls off the map. The article also includes a case study that I wrote that incorporates all of the research suggestions into one narrative. The article isn't posted online, but the May/June 2017 Family Tree Magazine issue can be purchased or downloaded here. (No, I don't receive proceeds from the sales.) I hope you find some useful ideas in the article!